For the last decade a military run logging company has been logging the 450 square kilometre reservoir area behind the proposed Nam Theun 2 dam. By Chris Lang. Published in WRM Bulletin 44, March 2001. Not long ago, the Nakai Plateau and the surrounding forest in central Laos was home to tiger, elephant, otter, rhesus macaque, tawny fish-owl, crested kingfisher, Siamese fireback and brown hornbill. The communities living in the area use 28 different languages. A hunter-gatherer group, unknown outside the Plateau, speaks a language unrelated to any of the five major language groups found in the area. In 1992, a new genus of bovid, the Sao La, was identified in Vietnam. Its habitat also extends into the Nakai-Nam Theun National Biodiversity Conservation Area (NBCA) in Laos. The route of the Ho Chi Minh trail runs through the area and the US air force heavily bombed the area during its war against Vietnam, with devastating consequences for people, wildlife and forests. For the last ten years or so, a Lao military-run logging company has been logging in an area of 450 square kilometres on the Plateau to make way for the reservoir behind the proposed 1069 megawatt Nam Theun 2 hydroelectric dam. Late last year a stockpile of one million cubic metres of felled timber from the Nakai Plateau was reported to be waiting for a buyer. All of this might seem like yet another environmental and social disaster. Not so, at least according to the World Bank-funded Panel of Experts, who were hired to provide advice on the proposed US$1.1 billion dam. The three members of the Panel of Experts, far from decrying the devastation caused by the logging, describe the current situation as “encouraging” and argue that the project should be “carried out as planned with WB [World Bank] involvement”, otherwise “the effect will be to increase rather than decrease rural poverty, and to seriously degrade or lose entirely the globally recognised biodiversity values of the NBCA”. The project may never be built. The dam’s developers, the Nam Theun 2 Electricity Consortium (NTEC), say it depends on a World Bank US$100 million “partial risk guarantee” covering the commercial loans to the project. 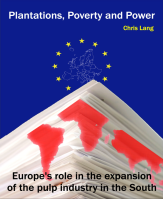 Without the guarantee, commercial banks will not put money into a financially risky scheme. Increasingly desperate to push the project ahead, NTEC wants the Bank to agree to the loan-guarantee in the next few months. One of the members of the Panel, Thayer Scudder, is a Professor of Anthropology at the California Institute of Technology. Scudder has the dubious honour of being the world’s leading expert on forced resettlement and describes himself as “Acknowledged as the Dean of community resettlement studies”. 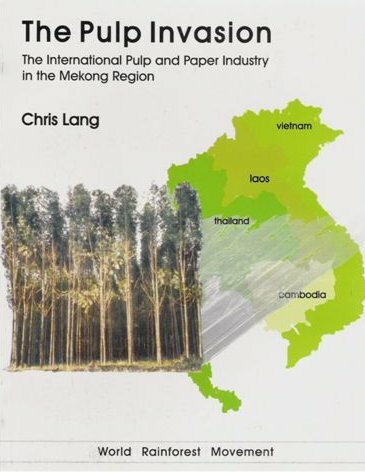 He points out that logging is presently the main source of income for the Lao government, but argues, “the best source of foreign exchange available to Laos is through export of hydro-power”. 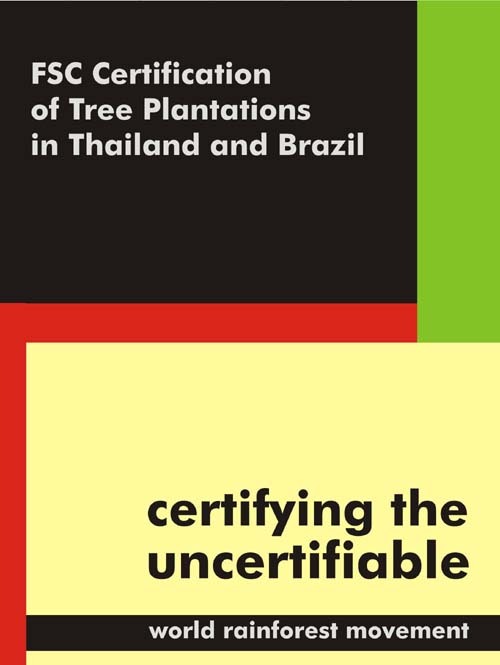 So, according to Scudder, logging 450 square kilometres, flooding the land and creating a huge area of mud, dead trees and breeding ground for mosquitoes, is fine as long as it pays for conserving the Nakai-Nam Theun NBCA. Scudder says that the 6000 people to be relocated are “incredibly poor to start with”, but he concludes “people are going to be moved regardless” and adds, “I prefer to try to improve that resettlement rather than just sit back and criticize it”. 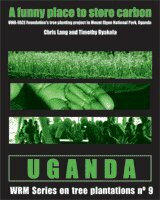 In a documentary film made for UK television in 1987, Scudder stated that he could not point to a single project, World Bank-financed or otherwise, where a displaced population had been successfully rehabilitated. “Forced resettlement is about the worst thing you can do to a people next to killing them,” he said. Resettlement problems associated with the proposed Nam Theun 2 project have already started. The Lao military-run logging company Bholisat Phattana Khed Phou Doi (BPKP – the Mountain Region Development Company) has logged several areas outside the proposed reservoir area, including a proposed community forest area that was supposed to provide an income for evicted villagers. 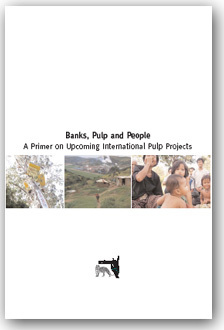 BPKP has already moved families from the proposed reservoir area—completely independently of any planned World Bank resettlement programmes. A sizeable industry has developed in the area to process the timber logged from the plateau. 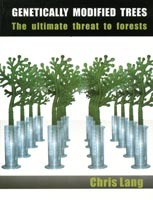 The Panel of Experts points out that this industry “may exert strong political pressure to be allowed to log inside conservation areas when their existing log sources are exhausted and before plantation grown timber becomes ready to harvest.” This does not, however, diminish the Panel’s support for the project. Given this point of view, it is not surprising that Whitmore does not see a problem with a project that involves clearing 450 square kilometres of people and trees to make way for a proposed reservoir. It is also not surprising that he seems unconcerned about logging continuing in the remaining forest long after the dam is built. What is perhaps surprising is that the World Bank is paying him to provide advice on the region he says has “had it”.